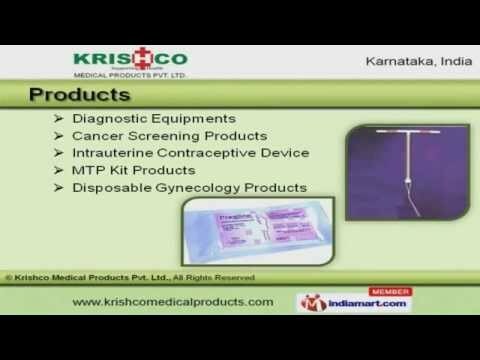 Welcome to Krishco Medical Products Private Limited, Supplier of Medical Disposable Products. The company was incorporated in the year 1996, at Bengaluru. Excellent logistics support and Ethical business practices make us unique in the industry. International quality standards and industry leading prices help us to serve Clientele like Cambridge Hospital. We offer a wide array of Diagnostic Equipments, Cancer Screening and Disposable Gynecology Products. Our E V A Gloves, Abdominal Belts and Vacuum Delivery Systems are extremely reliable. We are specialized in manufacturing I U I Media, Travel Socks and Compression Stockings. Bed Protectors, Laproscopy and Hysteroscopy offered by us are extremely reliable. Along with that we offer Sterilization Machines, Medical Bandages and Andrology Media that are available at industry leading prices. We also provide I V F Media, Embryo Freeze and Thaw Media that are a class apart.